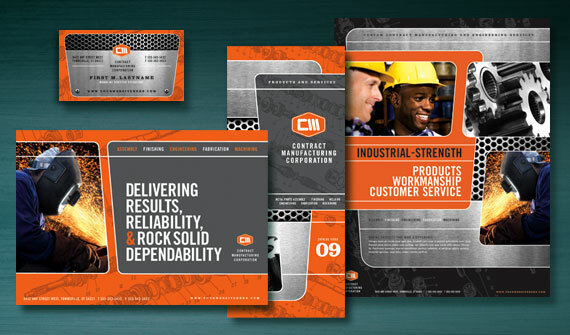 From employee handbooks to glossy, full-color sales catalogs for prospective customers or technical manuals that provide valuable information for product users, a well-designed and printed booklet or catalog can be a key factor in earning trust and generating results. And with our hands-on attention to detail and superior paper stock, POP is the place to have your booklets and catalogs printed. Catalogs are a department store standard, but you can easily use them for your business, too. Highlight seasonal inventory and specials on a quarterly basis. Provide some editorial content, creating more of a magazine/catalog hybrid. The options are limitless! You can build your own catalog or booklet in two standard sizes, the handy 5 1/2 x 8 1/2 Catalog or the ever-popular 8 1/2 x 11 Catalog, or create your own custom specs. PFL offers anything from a simple brochure folded to make a four-pager, all the way up to a 64 page, full color, saddle-stitched (stapled) at the spine or coil bound mega marketing tool. Custom catalog printing sizes, formats and papers as well as additional custom finishing can be used to create distinctive designs and shapes. Rounded corners are not a problem. UV coating is a breeze. Can you have a thicker paper on the cover than your inside pages? Absolutely! Foil stamping and embossing? Sure! Anything you can imagine we can create. We'll handle all of the technical details like shingling and head trim, leaving you free to create a catalog that SELLS. Custom catalog design is very affordable - call 850-434-2588 now for a quote!